Are you ready for this? 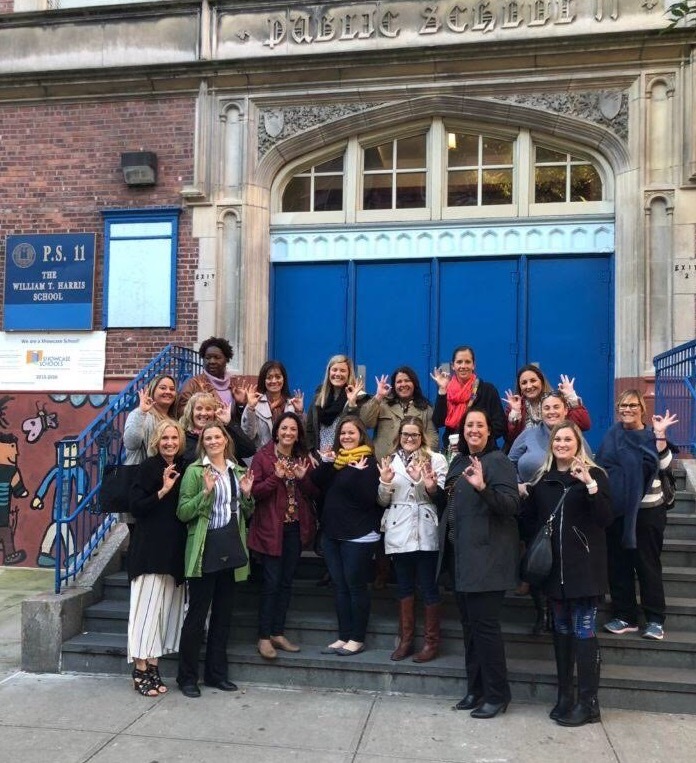 My school/district sent my ENTIRE elementary school up to NYC for the Reunion Conference at Columbia University's Teacher College. That's right - ALL OF US! We spent a long weekend learning and reflecting. It is so powerful to sit with your colleagues after a day of observing and learning. Want teacher "buy-in" for a new way of teaching? This is the way to go about it. Teach us. Let us see it in action with stellar examples and a realistic environment. Majority of our teachers were able to experience this special PD trip. Now on to the learning... What a trip! It is amazing the power of seeing best practices in action when you are learning something new. Our visit to PS11 in NYC, a Teacher College Reading and Writing Project (TCRWP) Workshop Showcase School, reaffirmed some of the things first grade is doing in the classroom, while shining a light on those areas needing improvement. The visit set us up with even more “look fors” for the Reunion Conference at Columbia the following day. Conferencing Sign-up in a PS11 classroom. Another area I was hoping to learn about was conferencing, including effective feedback. Conferencing is definitely another part of both Readers and Writers Workshop that I am focusing on this year. While observing in PS11 classrooms, I saw a conference sign-up in most of the K-2 rooms (see photo). I plan to try it beginning next unit. This conference sign up was for Math, Reading, and Writing. Students could use a dry erase marker to write their names on the sheet. One of the teachers even used a coding system. If they wrote their name in red, that meant that the student wanted to celebrate a success with the teacher, and if they wrote their name in black, the student wanted to work on something with the teacher. What a simple way to celebrate success and to teach students to take charge of their learning.